On Wings of Eagles: Are You Relying on Your GPS or God? At the turn of the twentieth century it was predicted that technology would procure us less work and more leisure time. 3 to 4 days of weekly work or even less could be anticipated! Sadly that kind of promising rest never became a reality. Instead we are now working triple-time, if not more, and all thanks to technology. Stress is on the rise and so is sleep deprivation. Take for example the GPS. A very special invention that helps us go from point A to point B. Or at least this is what it does in theory. Take for example this story I read recently. We had set our GPS for Leonard Harrison State Park in Pennsylvania. We opted for the option, "Lead us the shortest way possible". What a mistake! We soon found ourselves on a narrow dirt road running along the face of a steep hill. No way would we make it up there with our tent trailer and our minivan! So we did what was becoming second nature, thanks to our GPS. We turned around. Over the course of 15 minutes! Backward a few millimeters, then forward a few more, for what it seemed like ten thousand times. Am I exaggerating? I can't remember! It isn't easy to turn around on such a road with a trailer! Luckily there was no traffic! It seems that the locals were not using their GPS! A little later, we passed another shortcut our GPS wanted us to take. It was some road name Rattlesnake Road, covered with rocks, dirt and well, probably lots of rattlesnakes! Not the best place to turn around! 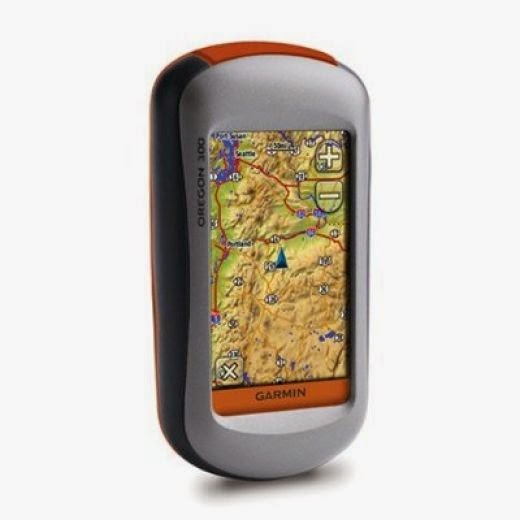 Once at the campground we were notified that many people get lost going to the camp, thanks to their GPS. And we all thought the GPS would make our lives easier! No rest for the wicked with a GPS. At least we get to practice turning around! No peace either! Have you ever tried to have a conversation with the constant interruptions of the GPS? "Turn right at the next street . . ." Or even better "You are no longer on the indicated route. Make a legal u-turn as soon as possible." No wonder people are unsure if technology is a blessing or a curse! My neighbour once saw a man ditch his computer in the garbage can in frustration! The promised rest has never become a reality! Some of us do take shortcuts. We go to our pastors instead. Or to our churches, or to our denominational offices . . . These are all roads filled with rattlesnakes. Not that they can't be of help to us, but Jesus clearly indicates that we are to go directly to Him. He personally cares for each one of us! I do believe we all qualify for that one! No matter what our circumstances might be, we all, so often, feel weary and burdened! How many of us face insomnia? How many of us even know the word "rest" in our day and age? How can we obtain that rest? "Yoke" is a word we are not too familiar in our day and age, due to our technological advances. In the olden days they used yokes on animals, especially on horses or cows. One was the lead animal who would take up most of the work. The other animal would follow the leader and would learn from the lead animal. In other words, Jesus is inviting us to have Him lead our lives and learn from Him. In all reality, the "I am in control of my life" does not mean much when we are all stressed out on a daily basis! Jesus is willing to take the burden out of our lives. Jesus is someone we could really learn from! Here is the solution to all of our heartaches and headaches! Jesus is the only One who can give us real rest! But we have to be willing to let Him be in the driver's seat of our lives. No GPS needed! Hallelujah! Quite a contrast with the yokes and burdens of life, including the GPS, computers, cellphones and all the rest! Have you noticed they all have one thing in common: Technical errors! Grrrr. . .
Jesus is truly our Rest and our Peace, if we let Him! Dear Lord, thank You for being our GPS. Thank You that we can rely on you for rest and guidance. Help us not try to do it on our own. I Jesus’ Name, Amen.